Recently, watercolor effects became a hot trend in web design. This technique allows you to create interesting “live” pictures and backgrounds. By choosing beautiful delicate watercolor backgrounds with green or light tones, you can set the necessary spring mood for the image. If you need some deep style – apply pastel and dark colors. 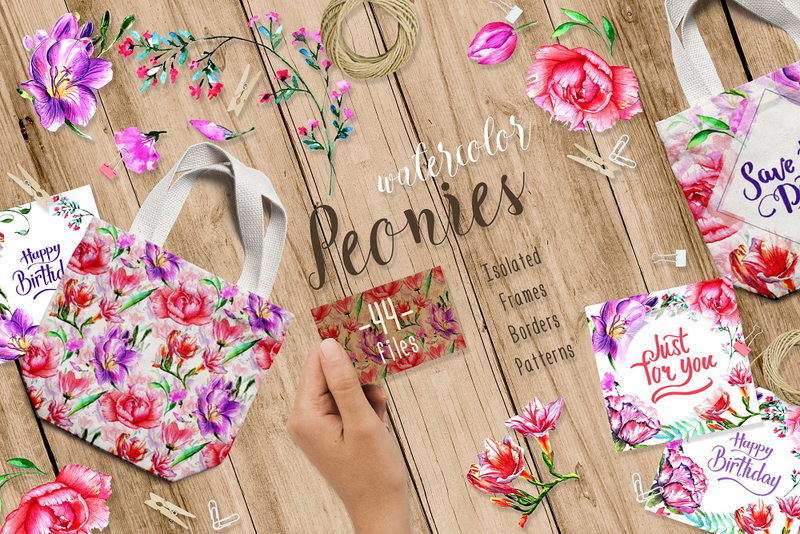 MasterBundles Watercolor elements can be used in postcards, site graphics, social networks, illustrations and much more. 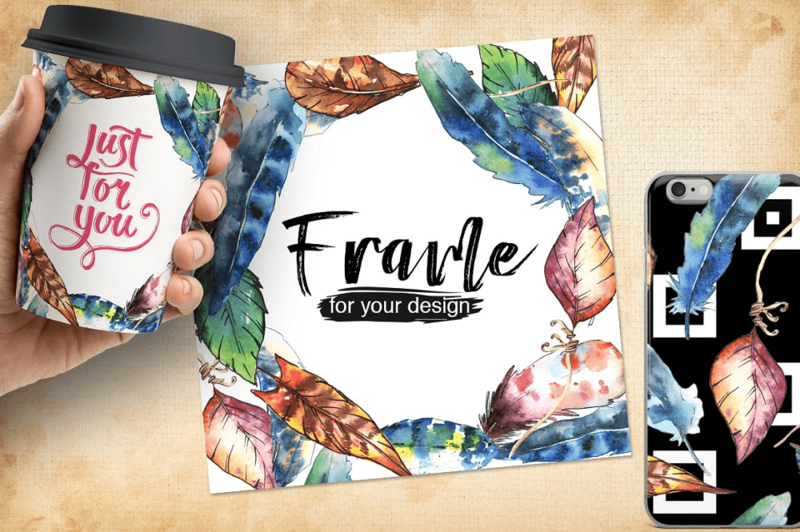 In this collection, you will find some of the best graphic watercolor bundles that may be useful in creating your masterpiece. Do you like flowers? Because it’s a flower paradise! The Best Watercolor Bundle is a collection of bright textures. Roses, orchids, tulips, peonies – these illustrations are stunning! Containing 2600 files, it offers you quality and fully editable elements. And the discount is crazy! Hurry up! Fiery freedom of boundless fields and wild spaces. Poppies carry beauty and oblivion, courage and femininity. Being so beautiful, they are sure to be the source of your inspiration! 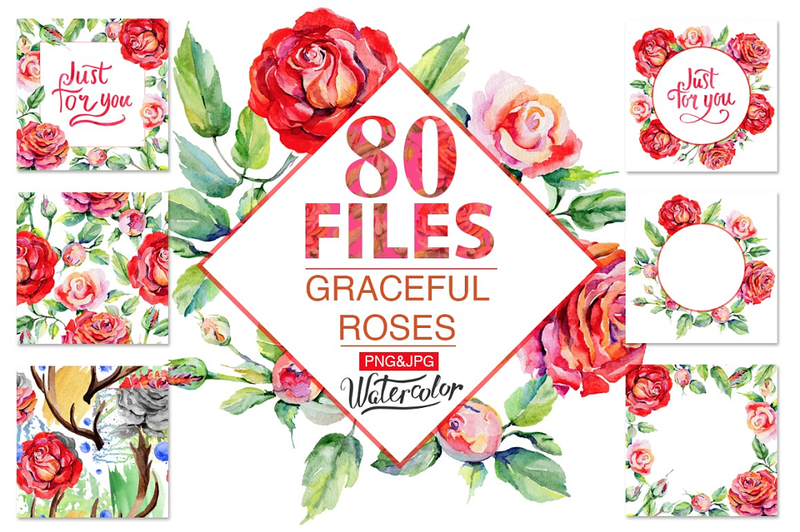 This watercolor set of 16 files includes frames, borders, and patterns. All the elements are hand-painted and elaborated with maximum attention. Delicate and soft. 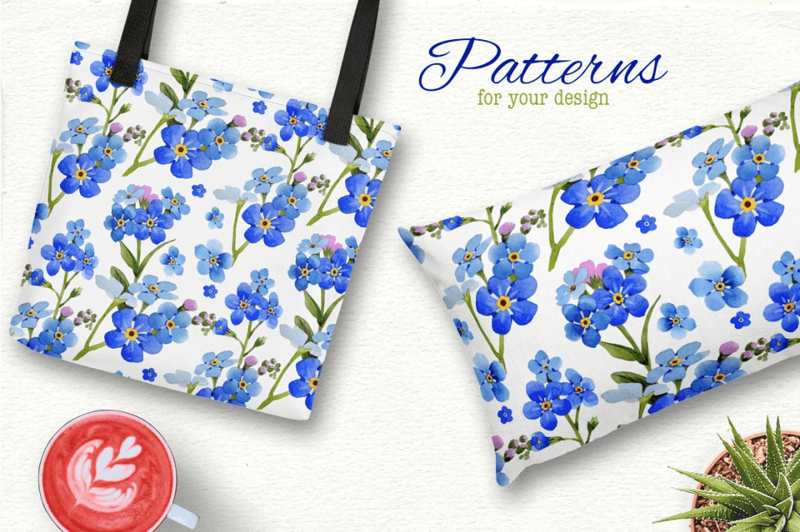 These blue patterns will soothe and inspire you. Brown and red elements will add something extraordinary. As a result, this bundle will help you to be creative. Click the link above to see more. Summer… sun … and, of course, currants! Such a beautiful and tasty berry should be present in your design. And its green leaves have very interesting and not ordinary form. Therefore, your art collection will get a proper replenishment. 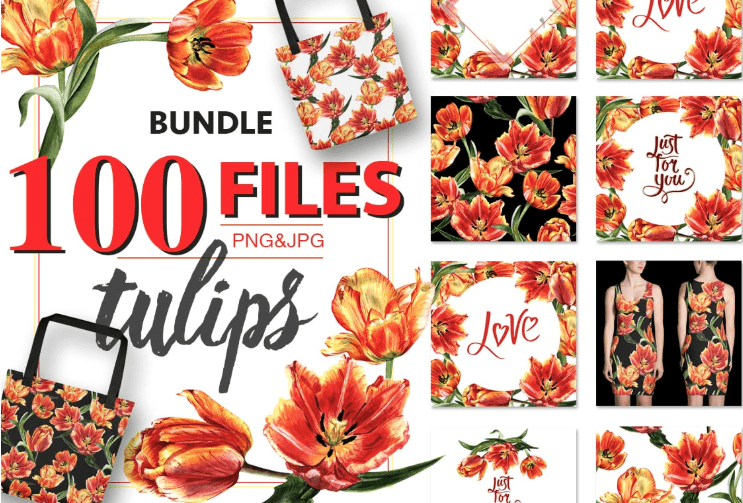 The set includes 50 excellent JPG patterns (3500x3500px) and 4 PNG files without background with print resolution (300 dpi). Peony is a beautiful and majestic flower – you can enjoy it endlessly. This bundle is quite versatile. Peonies are identified with well-being, longevity and wealth. 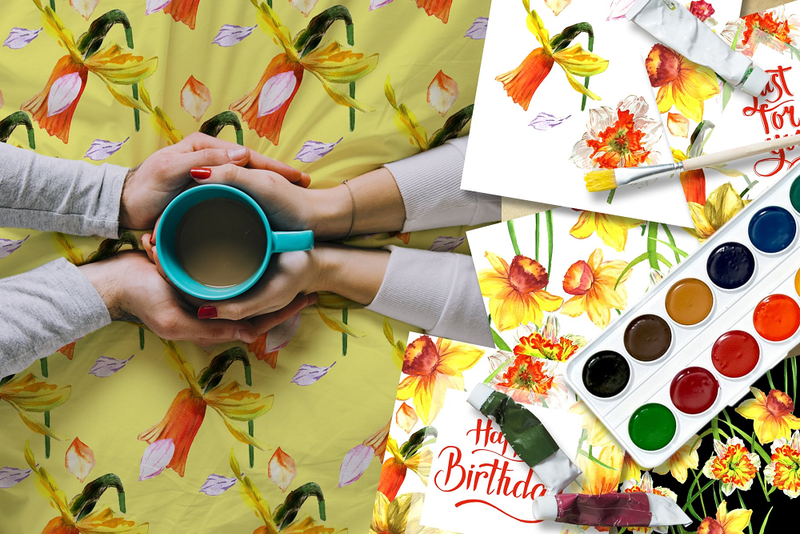 Therefore, you can use this watercolor set on the occasion of birthday, wedding or childbirth. It has 44 files consisting of 6 PNG and 38 JPG elements. These large, bright, flowers can’t leave anyone indifferent. Their silhouette and coloring resemble fantastic unearthly plants. Very few of other flowers can compete with sarracenia in extravagance. So, if you like to stand out, this watercolor bundle is yours. Crocus has long been considered a symbol of happiness. People believe that it brings joy and fun. And it’s true! Is it possible to stay sad looking at this crocus bundle set? 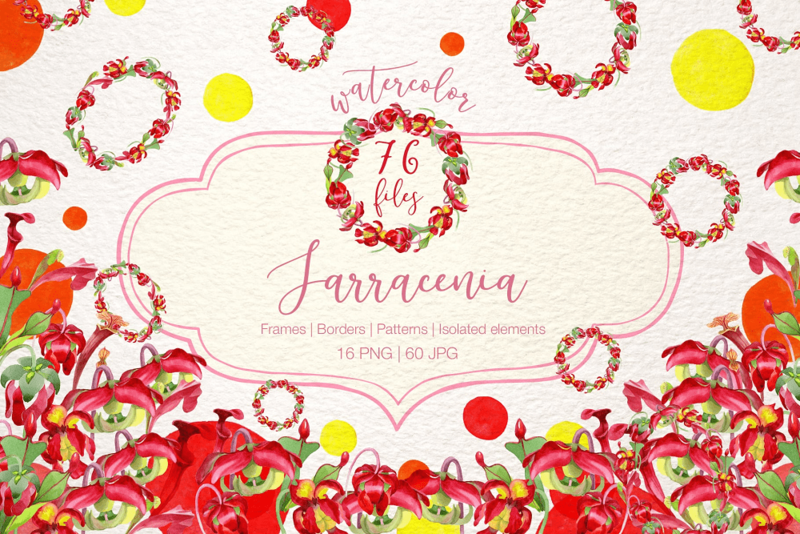 Beautiful patterns, various borders and frames with high resolution, isolated elements. It offers you a great space for creative ideas! One of the first spring flowers, narcissus talks about respect and irresistibility. For many centuries, it was considered a symbol of beauty among many people in the world. 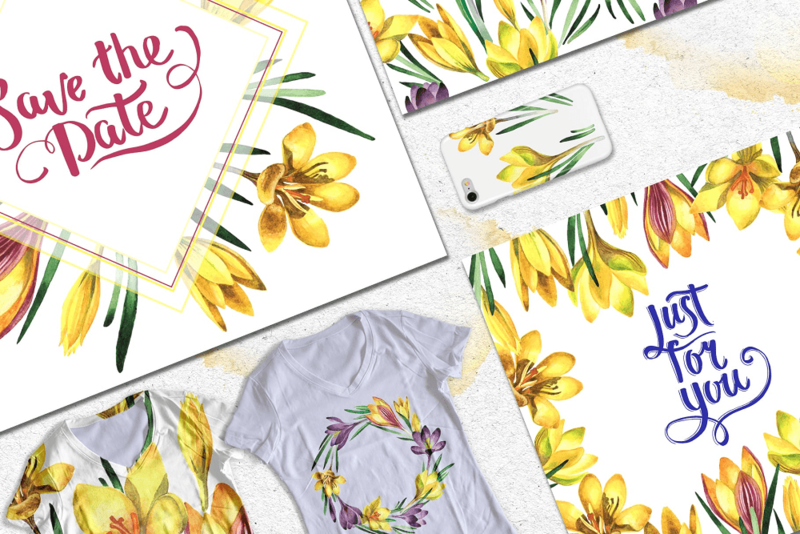 You can safely use this Narcissus Lemon Watercolor Flower Set for different occasions. Starting from blog design and ending with wedding invitations. Primula has a discreet beauty. However, these seemingly modest flowers have won the hearts of people around the world. And artists just adore depicting them! Therefore, this high-resolution texture set will be a find for you. It includes 80 elements – editable and ready to print. Among this collection, it is simply impossible not to mention the queen of floral beauty – rose. Popular and loved by many, it has won women’s hearts. Therefore, do not be doubt – any application of these watercolor illustrations will be successful! 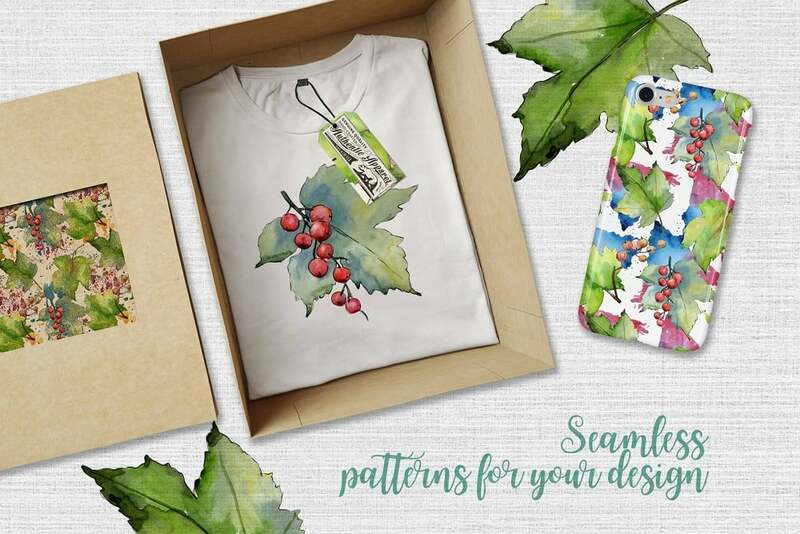 Charming autumn colors, tasteful design, and customizable elements. Nothing more to say! Here we have one more roses watercolor bundle. What did I tell? It’s really popular. However, unlike the previous autumn set, this one is bright and colored. It has 50 elements including 31 JPG frames and borders. And the price is more than satisfactory. Tulips are beautiful flowers painted with bright spring colors. They are just made to create color masterpieces in design. 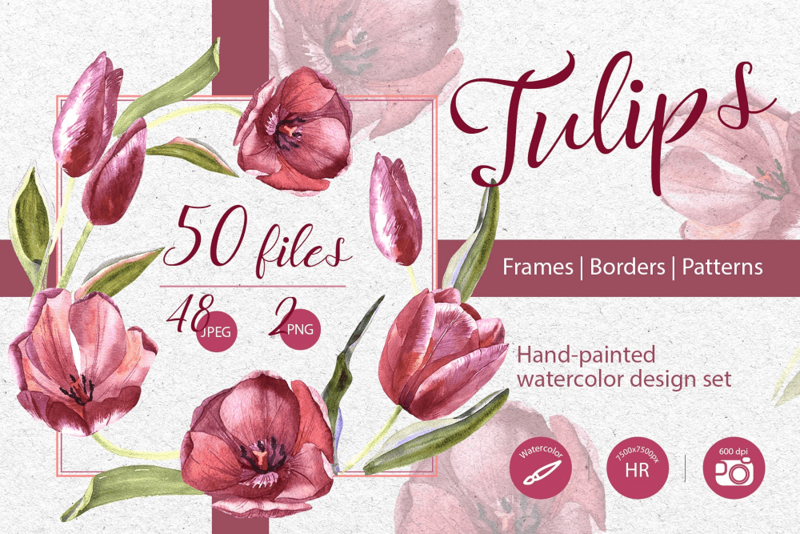 Drink coasters, packages, jars, cups, phone cases – you can decorate anything with this tulips watercolor set. Follow the link above and get it for almost nothing. This roses watercolor bundle is much brighter than the two previous ones. 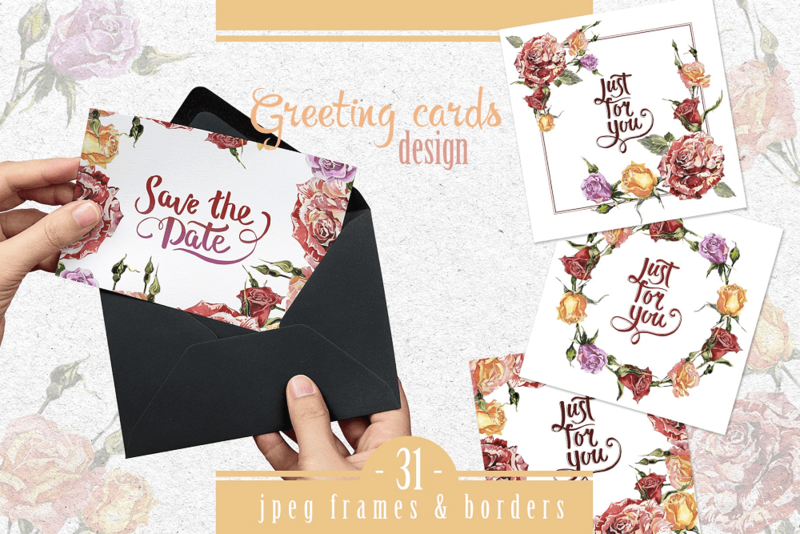 Want to update your blog or create beautiful colorful postcards? This set is useful for many things. Quality JPG frames and borders, isolated PNG, high resolution of all files are guaranteed. Fashion patterns, well-designed illustrations, bright elements. 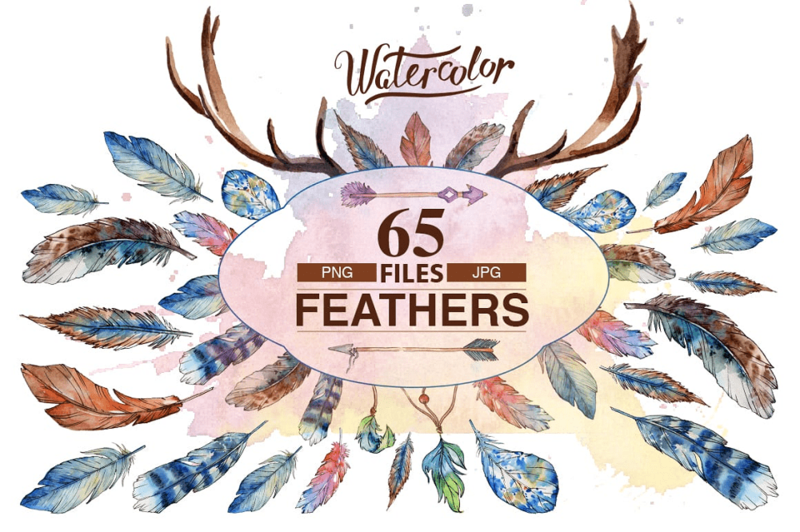 Will you believe if I say that you can get this stunning watercolor set almost for free? Well, you’ll have to. 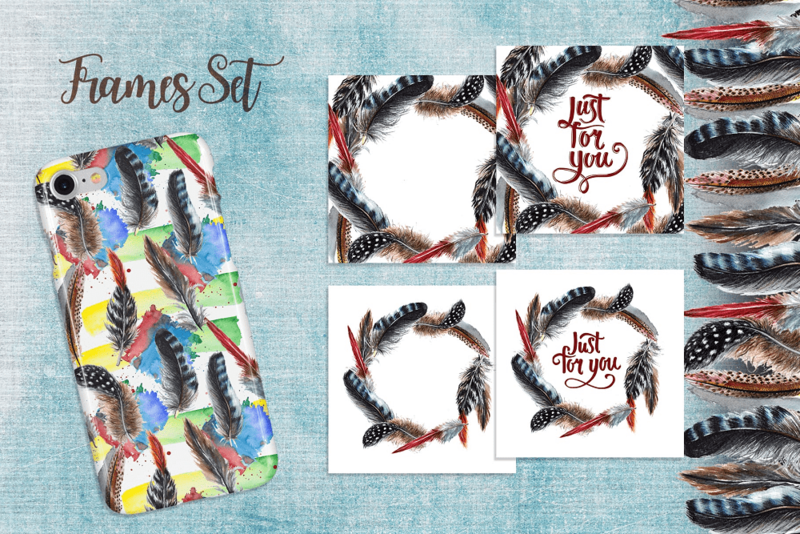 Since you can purchase this beautiful bird feathers bundle with 65 elements only for $2! Amazing, right? That’s something you’ve never seen before! 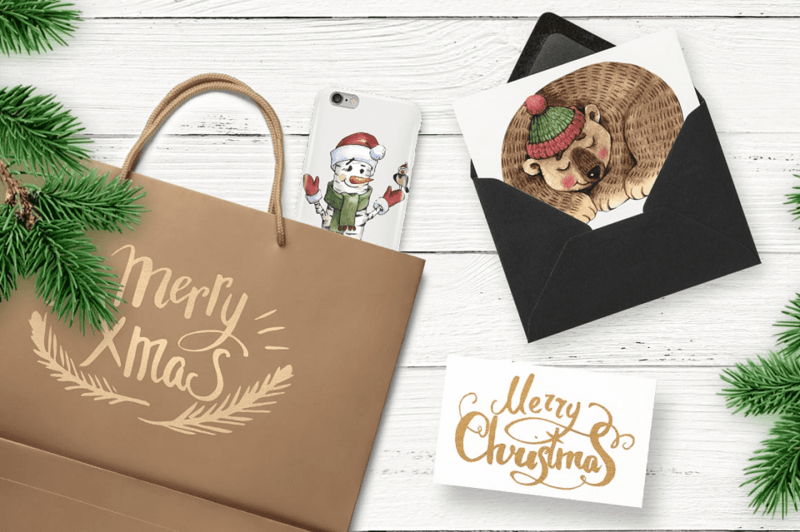 Thanks to this watercolor set, the cutest animals in the whole world can appear on your cups, phone cases, sweatshirts, and other things. Only you decide how it will look. 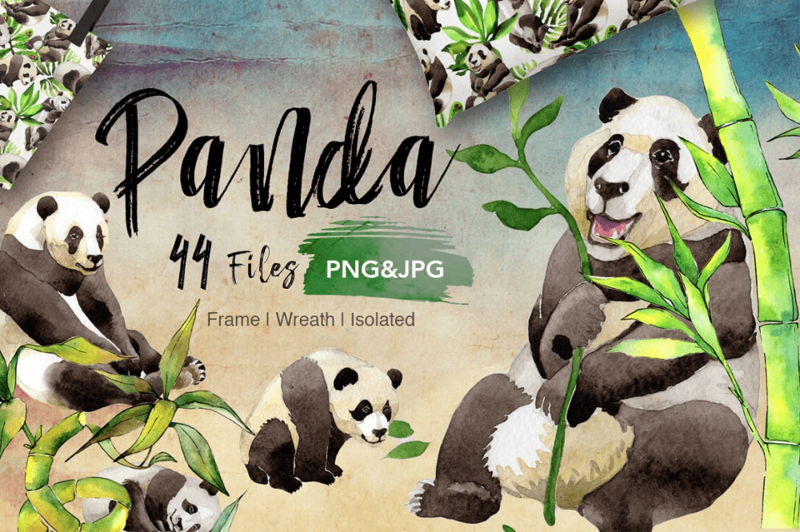 Fully editable, this pandas bundle will bring you great pleasure! Seamless pattern, high resolution, ready for use. 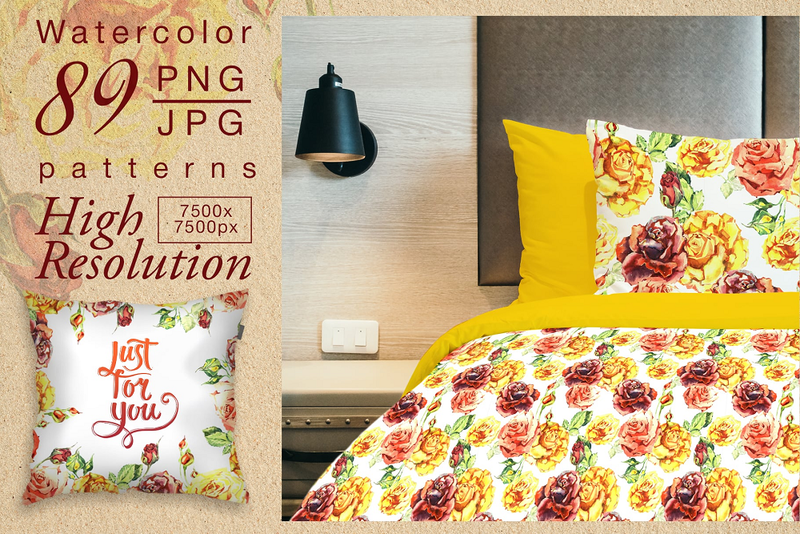 This watercolor set is a perfect choice if you like yellow color and roses. 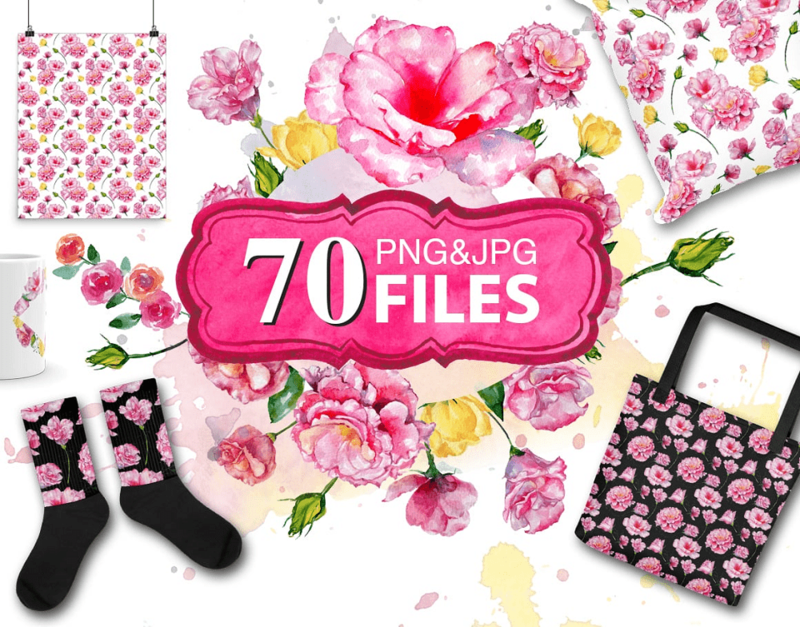 These 89 PNG and JPG elements will help to create something special. Especially when you can apply them everywhere. Check out this texture pack from MasterBundles. Light and fresh, it definitely stands out. Fethers attach weightlessness and bright details look very stylish. 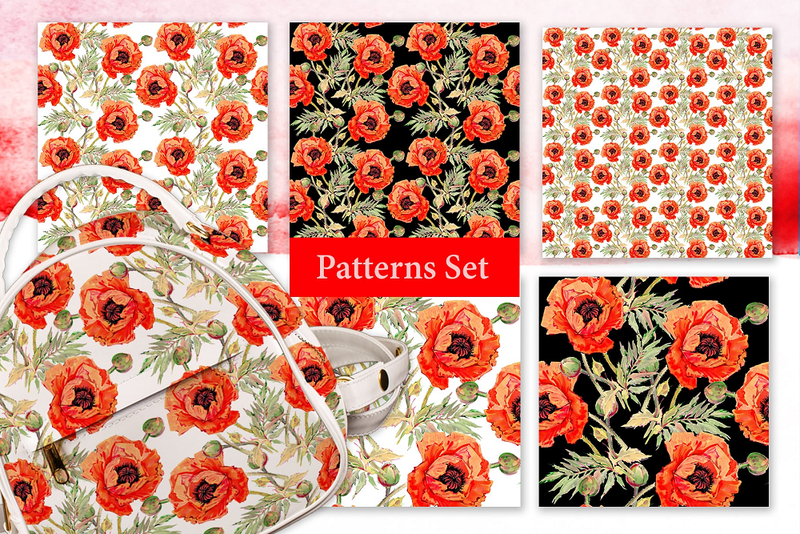 The set offers 65 files including isolated PNG and JPG size 3500x3500px patterns. In addition, the price will surprise you pleasantly. 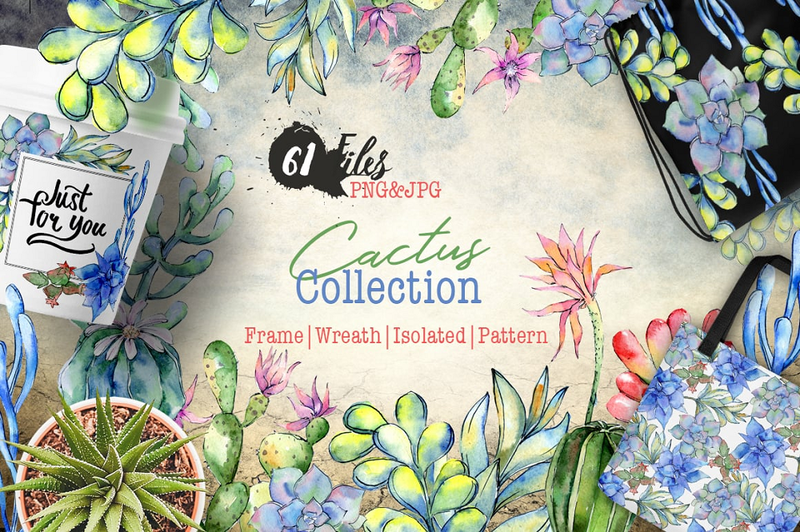 Cactus is unique in its own way and can give inspiration where the fantasy ends. First of all, cactus is a symbol of longevity. 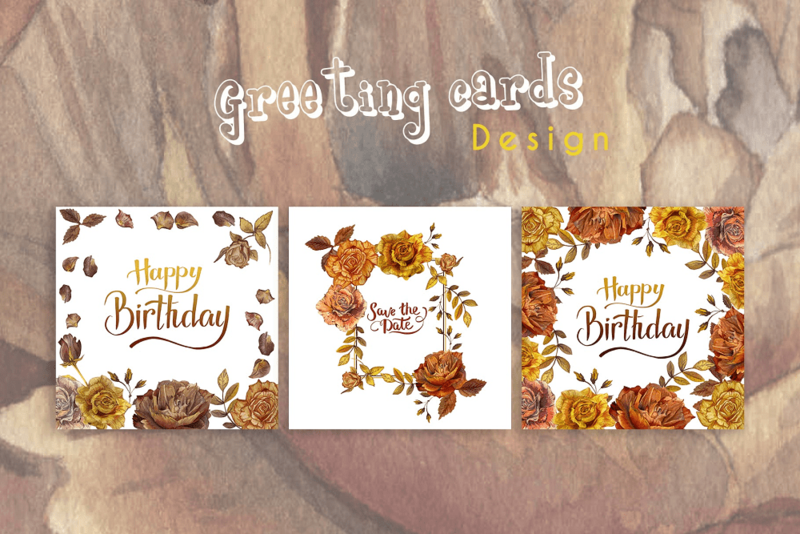 Therefore, this set is ideal for greeting cards and wedding invitations. In any case, with this watercolor bundle, you will have many options for use. And the discount is huge! Just imagine bright roses on black background. Glamorous and stylish, isn’t it? Infinitely beautiful creations with the help of this set will make people forget about everything. And different clothing items with those patterns look always awesome! Resistance is futile. These textures are made to be your favorite. 110 files of the perfect quality, JPG size 3500x3500px, editable colors. In addition, you will get a wedding invitation template as a bonus. That’s really a very good offer! Another collection of a roses watercolor bundle in bright colors. Thanks to this attractive collection of various files you can revive your project. The design is marvelous, the price is ridiculous. What else is needed? Beautiful red tulips. That’s classic. This set has remarkable color combinations and will be a great addition to your design. 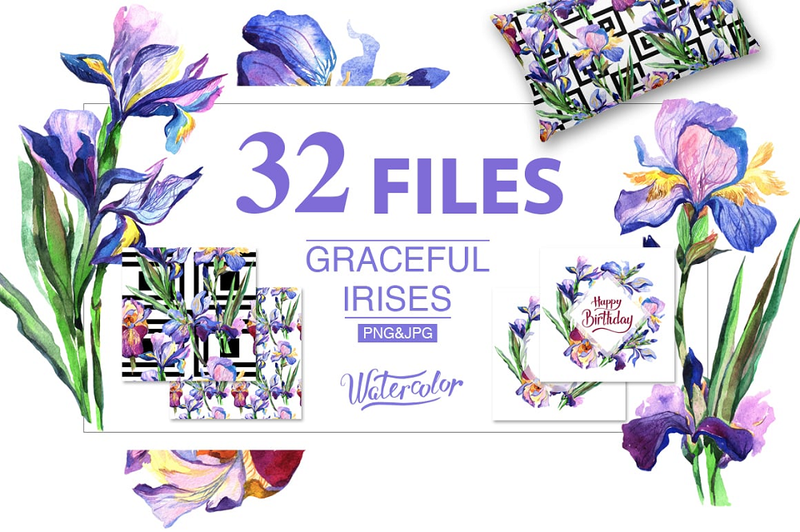 100 files with different patterns and lovely frames. Hit the link and check it out! Perhaps, irises are considered the most mysterious flowers. Blue ones personify tenderness, so this bundle is perfect for romantic events. 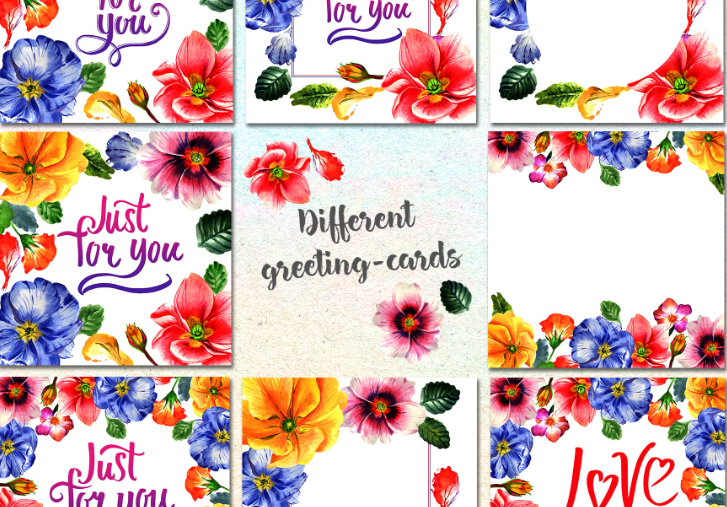 Wedding invitations, romantic postcards or wrappers for flowers – this watercolor set will be a win-win. Also, you will be delighted with the discounted price.